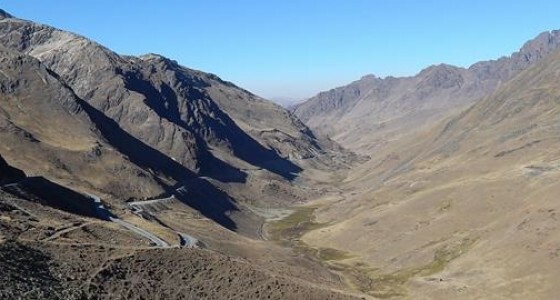 Cusco has an amazing collection of Inca remains and there are many trips that connects with some of these astonishing sites. 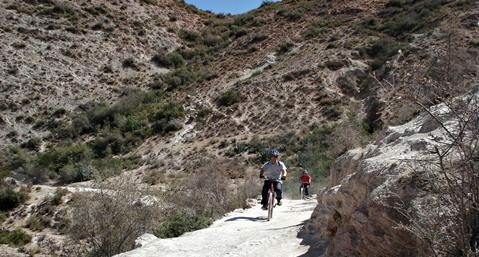 Yuncaypata mountain biking tour is one of them. Can you imagine a better way to take in this beautiful city than biking through its outskirts? Yuncaypata mountain biking Cusco is a unique opportunity to practice this thrilling sport while enjoying the breathtaking scenery and learning more about Peruvian culture and its astounding history. After the pick-up from your hotel, we will drive for twenty five minutes with views of the archaeological sites of Sacsayhuaman and Qenqo to Puka Pukara the beggining of our mountain biking trip. We provide all the safety gear that includes gloves, helmet, elbow and knee pads, windbreaker and body armor along with and safety instruction. After receiving your safety equipment, you will test out your full suspension mountain bikes and then you will be ready for some action. Yuncaypata is an epic ride that begins in the Inca complex of Puka Pukara and descends the trail touching Andean forest and creeks to reach Yuncaypata Village, then makes it’s way down to the Inkatambo and Rumiwasi Inca complexes where you’ll have a interesting description about these fascinating places. 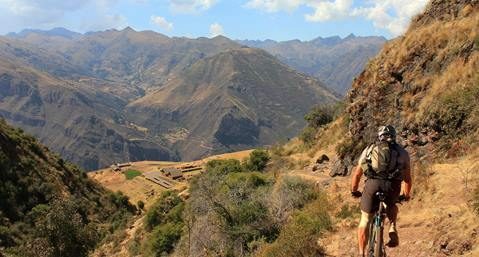 The trail is well designed and have some magic, some excitement and awesome outlooks of forests, ruins, Andean villages and outstanding panoramic views of Cusco city. In addition, our Yuncaypata trail offer spectacular views of one of the highest mountains in Peru, the Ausangate. Our trip finishes off on a nice paved bike path that lead to the district of San Sebastián, from where we’ll return you to your hotel. 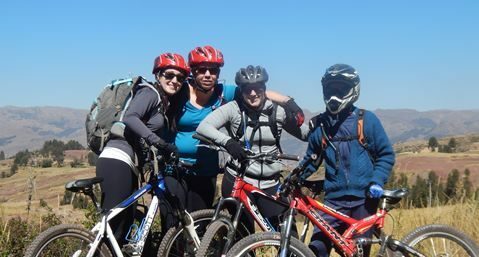 Nevertheless, if you came to Peru for more adventurous mountain biking, we organize other thrilling bike tours as well. Gear: All biking gear, helmets as well as knee and elbow protector and mountain bike with disc brakes and suspension. Guide: English-speaking guide, certified in first aid course and rescue. Shorts, lightweight long trousers, fleece/thermal top, sport shoes or boots, sunblock, sun glasses and hat. Guarantee daily departures with a minimum of 2 people.